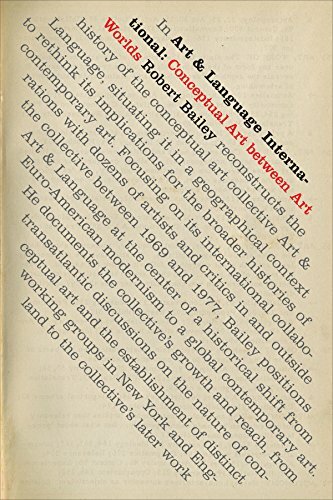 In Art & Language International Robert Bailey reconstructs the history of the conceptual art collective Art & Language, situating it in a geographical context to rethink its implications for the broader histories of contemporary art. Focusing on its international collaborations with dozens of artists and critics in and outside the collective between 1969 and 1977, Bailey positions Art & Language at the center of a historical shift from Euro-American modernism to a global contemporary art. He documents the collective’s growth and reach, from transatlantic discussions on the nature of conceptual art and the establishment of distinct working groups in New York and England to the collective’s later work in Australia, New Zealand, and Yugoslavia. Bailey also details its publications, associations with political organizations, and the internal power struggles that precipitated its breakdown. Analyzing a wide range of artworks, texts, music, and films, he reveals how Art & Language navigated between art worlds to shape the international profile of conceptual art. Above all, Bailey underscores how the group's rigorous and interdisciplinary work provides a gateway to understanding how conceptual art operates as a mode of thinking that exceeds the visual to shape the philosophical, historical, and political.